A light installation for a concert that includes selected works by A. Scriabin and personal exhibition. Concert: October 12, at 7PM. Exhibition opening: October 12 at 8PM. Exhibition available to the public: October 12-20. 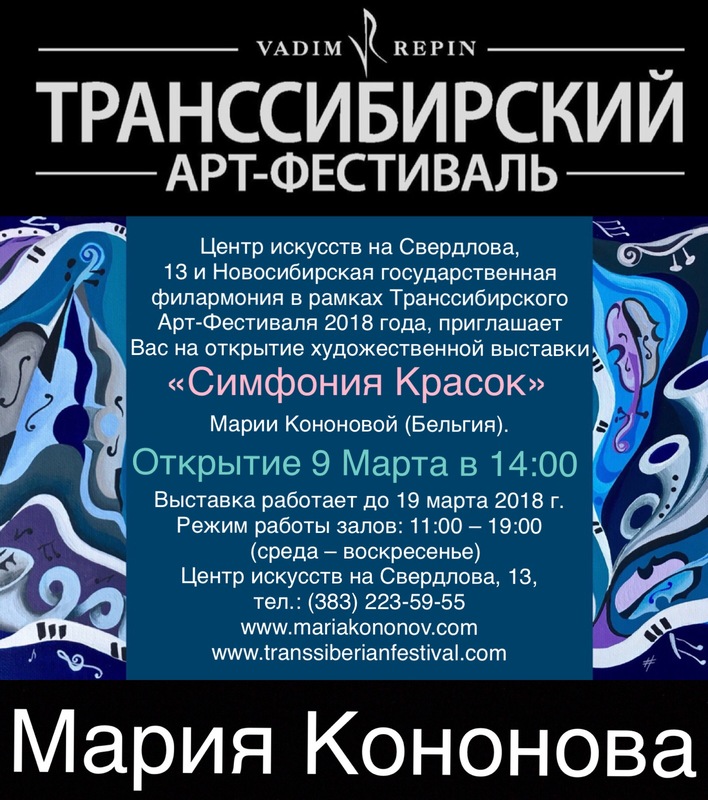 Personal exhibition within the program of the Trans-Siberian Art Festival 2018. A join exhibition with the Steiner Gallery. Vernissage: March 9, at 2PM. An exhibition. 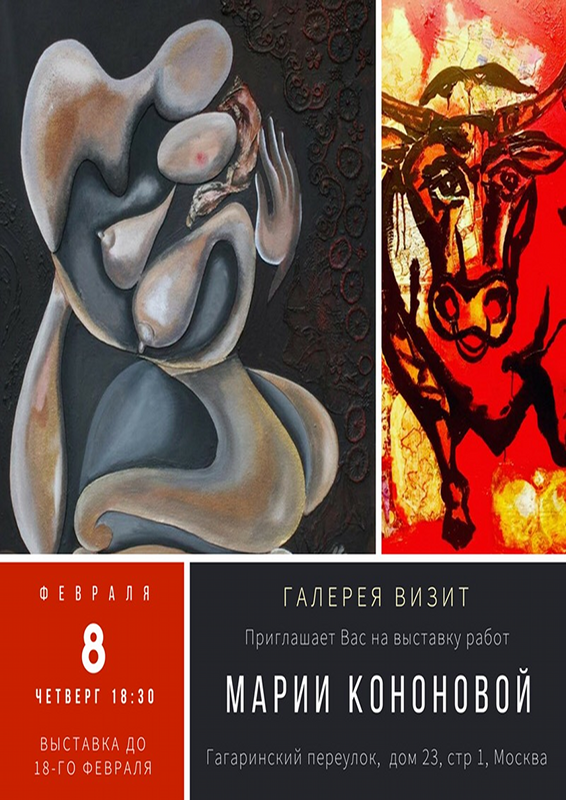 Preview of the paintings that will be shown at the Trans-Siberian Art Festival.